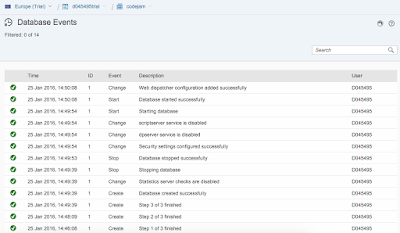 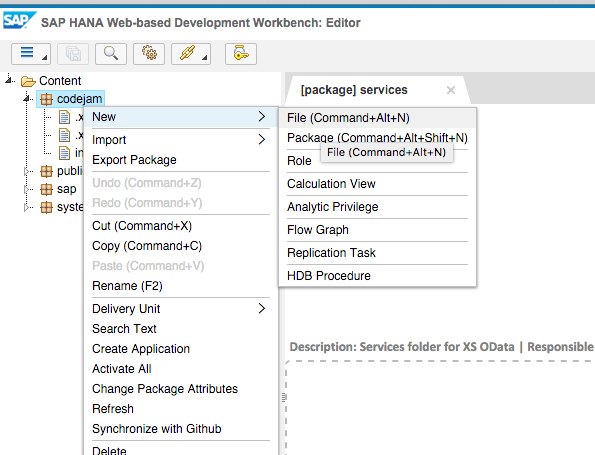 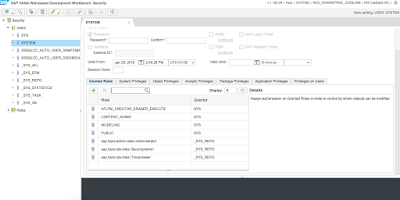 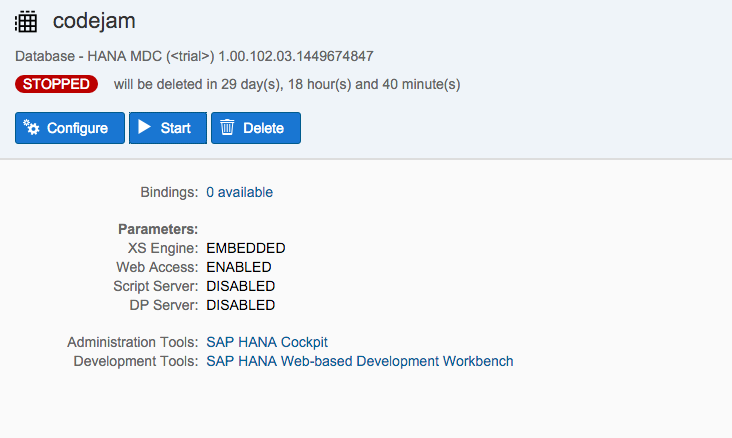 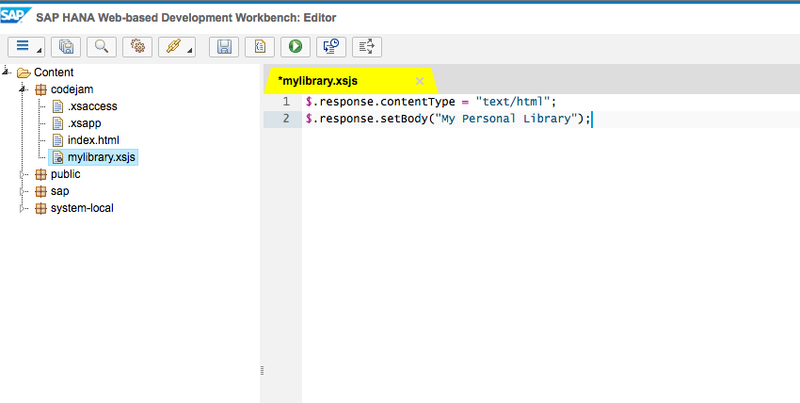 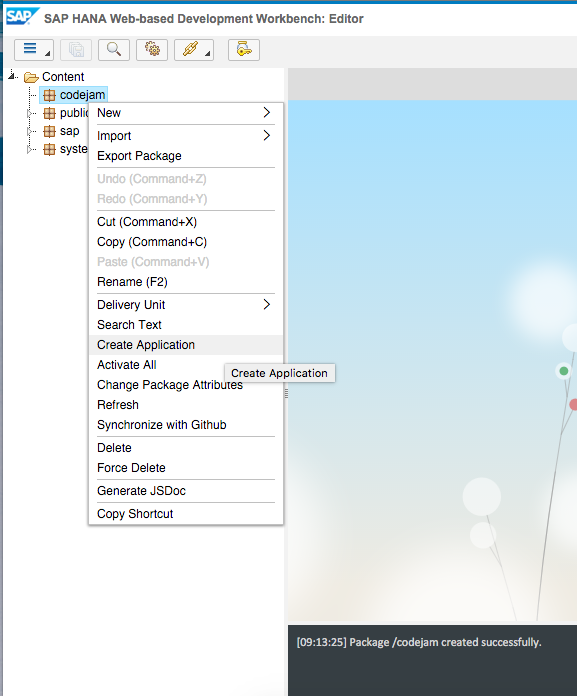 Each Trial HANA instance comes with the HANA Web-based Development Workbench. 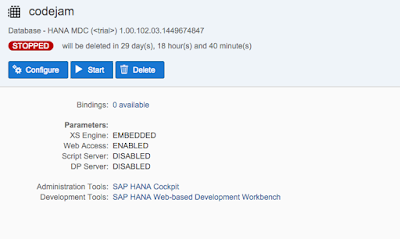 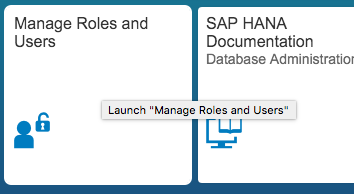 The workbench allows you to develop on HANA without the need to set up a local development environment. 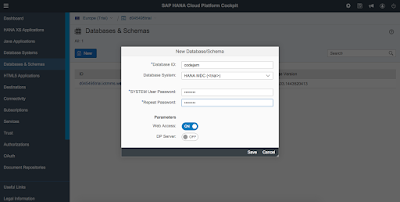 Choose Databases & Schemas. You will need to create your new instance, to do this simple give it a name, enable web access and of course give a password. 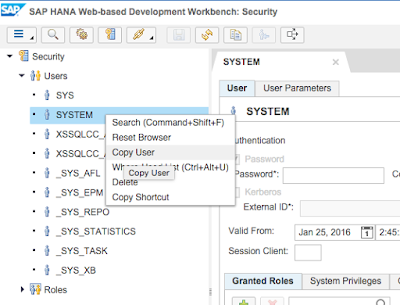 This password you will need to remember as it is the password for your SYSTEM user and how you will be able to access the server. 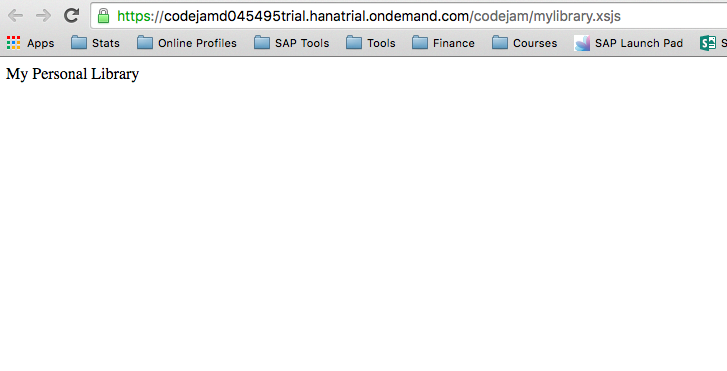 Here you can create a new user, this is recommended so you do not risk the “SYSTEM” user. 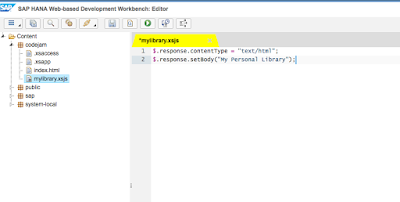 On the web page, there is a link for Web-Based Development Workbench. 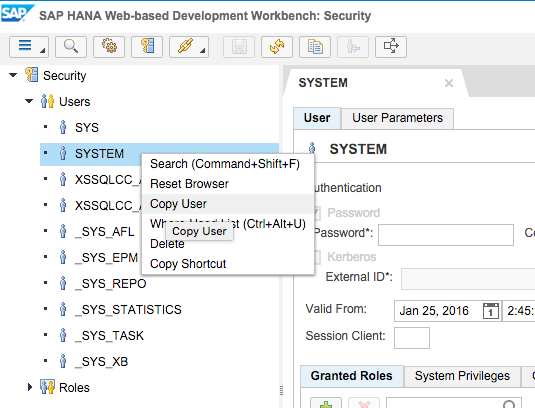 Click this link to start the workbench. 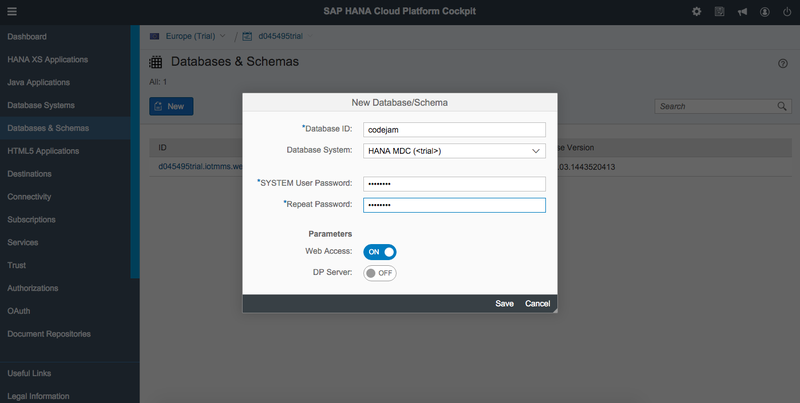 From this point differences in the tutorials are around the initial starting point, in the SAP HANA Developer Edition the user CODEJAMMER has a package called CODEJAMMER which you would then place the initial package in the next section under. 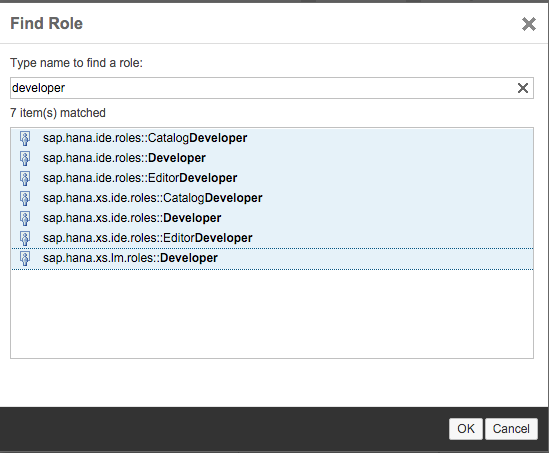 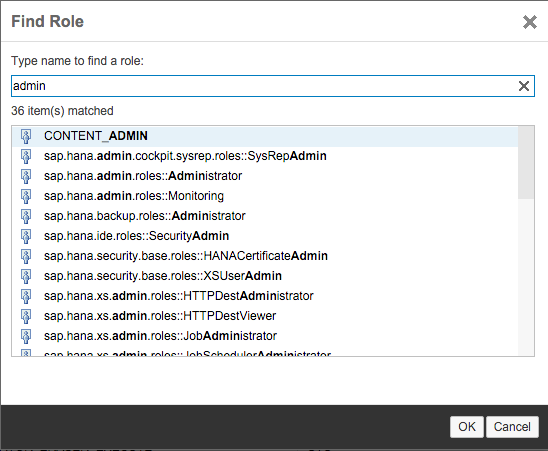 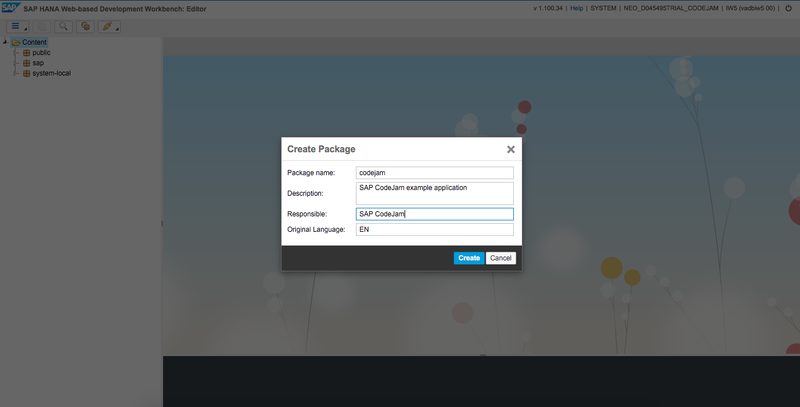 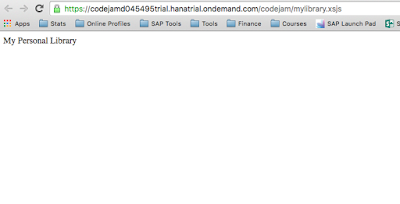 Congratulations: You just have your first own native SAP HANA application running on SAP HANA Cloud Platform!